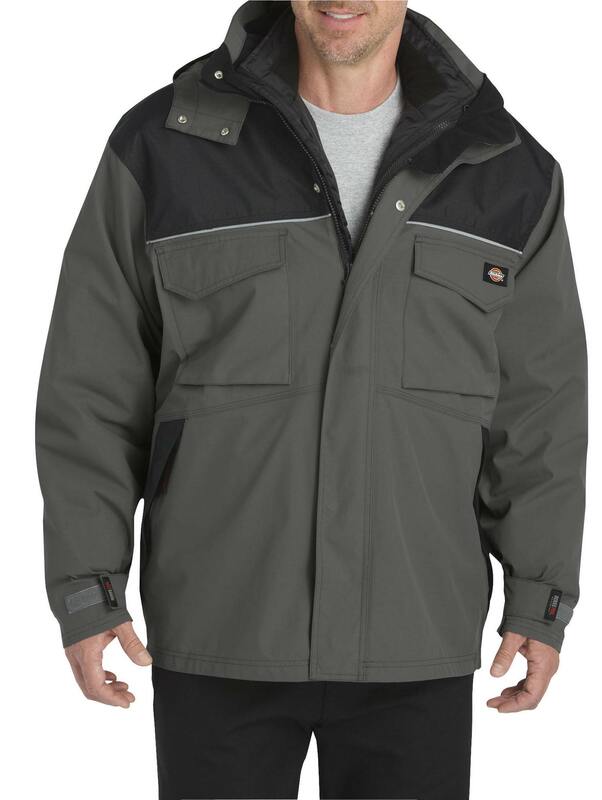 Model photo shows liner Frost Extreme Fleece (#BJW02) and Extreme Puffer (#BJJ03) zipped inside Jasper Extreme Coat (#BJC01). 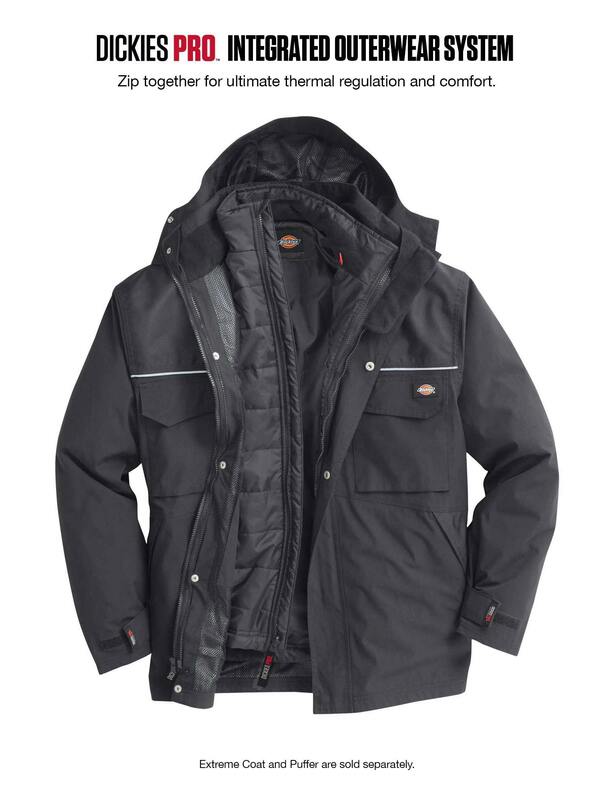 The fleece and puffer are sold seperately. 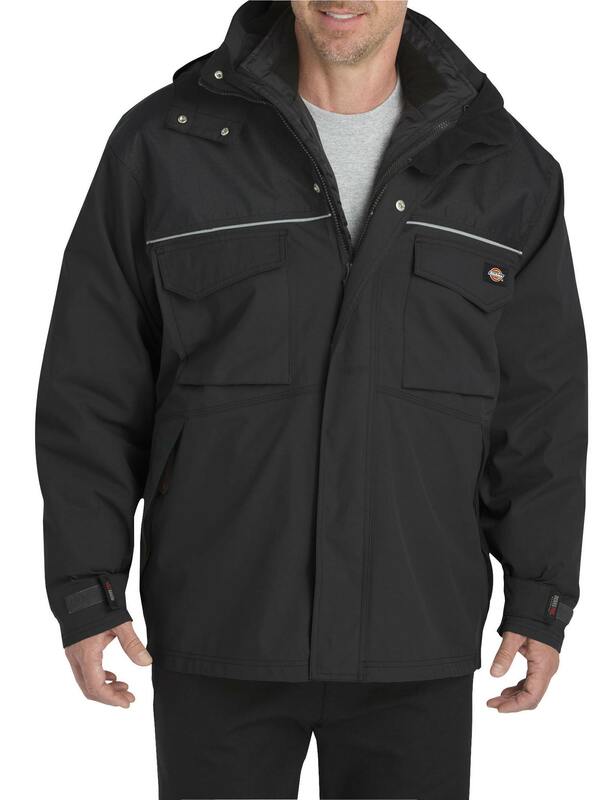 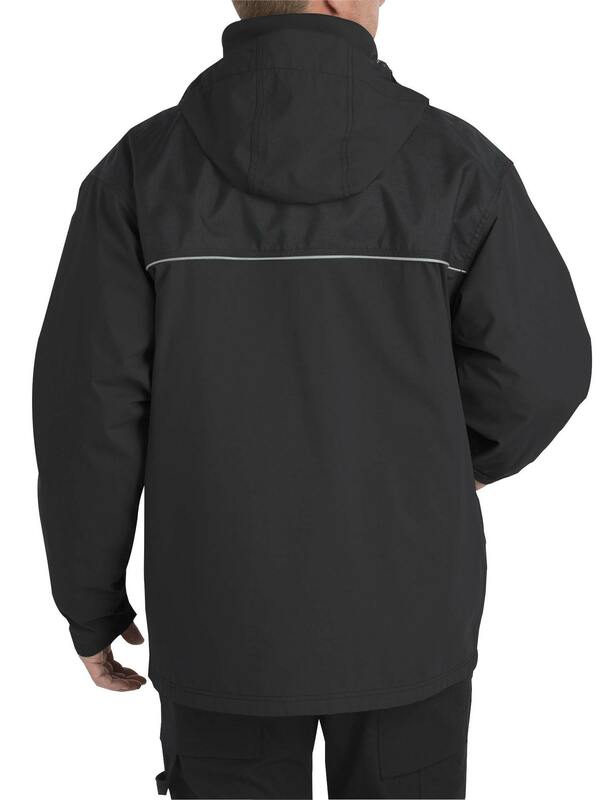 The Dickies Pro™ integrated outerwear system provides customized protection when working in extreme weather conditions. 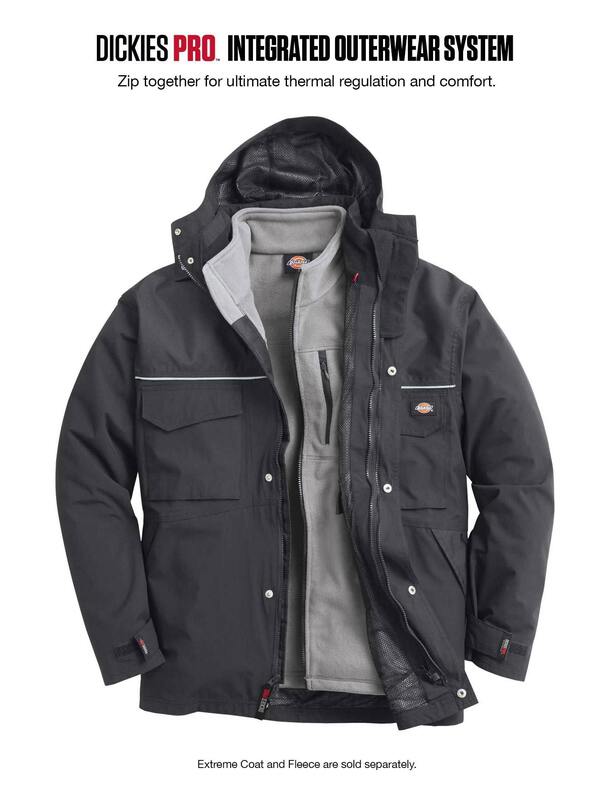 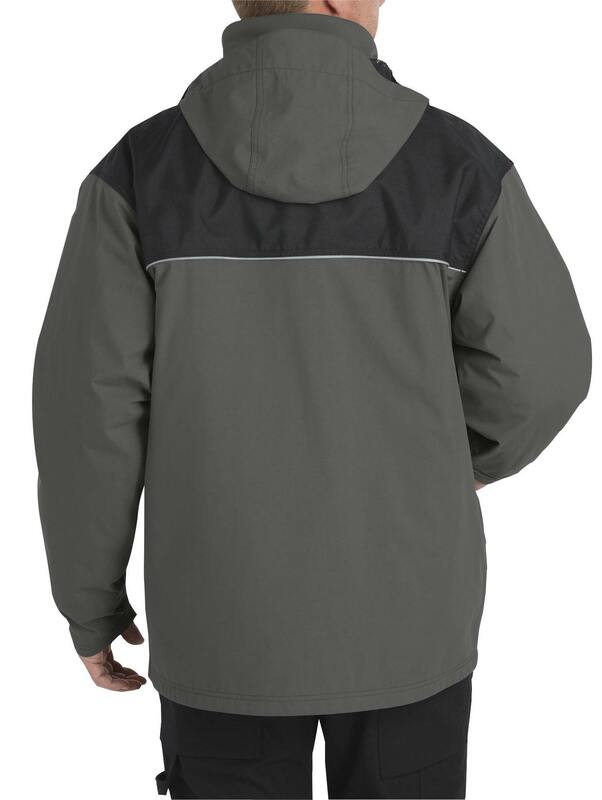 The interior lining (fleece or puffer, sold separately) and outer shell can be worn separately or zipped together for the ultimate thermal regulation with performance and comfort.